At some point, everyone has experienced a temporary groggy feeling after waking up called sleep inertia. Scientists know a lot about sleep inertia already, including how it impairs cognitive and motor abilities, and how it varies with the time of day and type of sleep that precedes it. They even have pictures of how the brain wakes up piece by piece. People with idiopathic hypersomnia or IH display something that seems stronger, termed “sleep drunkenness,” which can last for hours. Czech neurologist Bedrich Roth, the first to identify IH as something separate from other sleep disorders, proposed sleep drunkenness as IH’s defining characteristic. Note: Emory readers may recall the young Atlanta lawyer treated for IH by David Rye, Kathy Parker and colleagues several years ago. Our post today is part of IH Awareness Week® 2017. At Emory, neurologist Lynn Marie Trotti and colleagues are in the middle of a brain imaging study looking at sleep drunkenness. Enhancing the brain’s own clean-up crews could be a strategy for handling the toxic proteins driving several neurodegenerative diseases, new research suggests. 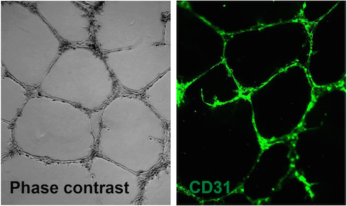 Astrocytes, an abundant supportive cell type in the brain, are better than neurons at disposing of mutant huntingtin, the toxic protein that drives Huntington’s disease pathology, Xiao-Jiang Li and colleagues report in this week’s PNAS. One reason why astrocytes are better at toxic protein defense than neurons is: they have less of an inhibitory protein called HspBP1. The scientists show that using CRISPR/Cas9 to “knock down” HspBP1 can help neurons get rid of mutant huntingtin and reduce early pathological signs. Emory University School of Medicine researchers have developed tools that enable them to detect small proteins called granulins for the first time inside cells. Granulins are of interest to neuroscientists because mutations in the granulin gene cause frontotemporal dementia (FTD). However, the functions of granulins were previously unclear. FTD is an incurable neurodegenerative disease and the most common type of dementia in people younger than 60. Genetic variants in the granulin gene are also a risk factor for Alzheimer’s disease and Parkinson’s disease, suggesting this discovery may have therapeutic potential for a broad spectrum of age-related neurodegenerative diseases. The results were published August 9 by the journal eNeuro (open access). Some neuroscientists believed that granulins were made outside cells, and even could be toxic under certain conditions. But with the newly identified tools, the Emory researchers can now see granulins inside cells within lysosomes, which are critical garbage disposal and recycling centers. The researchers now propose that granulins have important jobs in the lysosome that are necessary to maintain brain health, suppress neuroinflammation, and prevent neurodegeneration. Problems with lysosomes appear in several neurodegenerative diseases such as Alzheimer’s and Parkinson’s. The fragile X protein (FMRP) was known to control protein production in response to signals arriving in neurons, but the Cell Reports paper shows that FMRP is also regulating the length of “tails” attached to messenger RNAs – something scientists did not realize, even after years of studying FMRP and fragile X, Moberg says. To be sure, FMRP interacts with many proteins and appears to be a critical gatekeeper. Emory geneticist Peng Jin, who has conducted his share of research on this topic, says that “FMRP must be very social and has a lot of friends.” More here. Anyone familiar with Alzheimer’s disease research can say what a challenge drug development has been. In Emory’s Department of Pharmacology, Thota Ganesh is focusing on an anti-inflammatory approach. Ganesh’s work has been supported by the Alzheimer’s Drug Discovery Foundation and more recently by a five-year, $3.6 million grant from the National Institute on Aging. 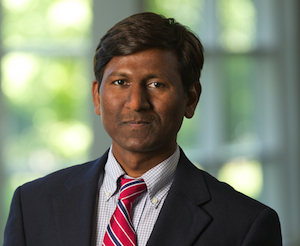 Medicinal chemist Thota Ganesh, PhD, is focusing on an anti-inflammatory approach to Alzheimer’s disease, targeting the prostaglandin receptor EP2. An assistant professor at Emory since 2011, he is continuing research he undertook with Ray Dingledine on EP2 antagonists. In animals, they showed that this class of compounds could reduce injury to the brain after a prolonged seizure. Since then, they have shown that EP2 antagonists have similar effects in protecting against organophosphate pesticides/nerve agents. EP2 is one of the four receptors for prostaglandin E2, a hormone involved in processes such as fever, childbirth, digestion and blood pressure regulation. Before Ganesh and colleagues from the Emory Chemical Biology Discovery Center started looking for them, chemicals that could block EP2 selectively were not available.